In a wordy December 15, 2014 decision in the homeowner's insurance contract dispute case of Bruno v. Erie Insurance, No. 25 WAP 2013 (Pa. Dec. 15, 2014)(Op. by Todd, J.) (Concurring Op. by Eakin, J. ), the Pennsylvania Supreme Court offered its latest detailed analysis of the "gist of the action" Doctrine, as well as the scope of the Certificate of Merit rules in professional negligence claims. This matter involved a contractual dispute between insureds and their homeowner's carrier over the alleged existence of mold in the insured's home and how to remedy the same. The insureds attempted to include in their suit a negligence claim against the engineer retained by the carrier to evaluate the alleged mold condition. The homeowner's insurance carrier Defendant filed preliminary objections asserting that the gist of the action doctrine barred the Plaintiff's pursuit of a negligence claim arising out of the same allegations as involved in the breach of contract action. The engineering expert filed preliminary objections asserting that the claim against him was barred due to the Plaintiff's failure to secure a Certificate of Merit to support the negligence claim against that professional defendant. After extensively reviewing essentially the entire history of the doctrine, the Supreme Court ruled that the negligence action asserted in this matter against the homeowner's carrier based upon the alleged misdeeds and/or omissions of the carrier's adjuster or its retained engineering expert was not barred by the "gist of the action" doctrine. The court found that that the allegations of negligence on the part of a person or persons performing the duties under, or in furtherance of, the contract are, as a matter of law, not to be viewed as a cause of action based upon the underlying contract since such claims are not founded upon the breach of any of the specific promises that make up the contract, but rather the negligent acts or omissions of an agent of the homeowner's carrier. See Maj. Op. at p. 35, 36-37. In other words, while the homeowner's carrier had contractual duties to properly investigate whether mold existed, and to pay for property damage caused by the mold, the focus of the allegations by the insured was not that the carrier failed in meeting these contractual obligations, but rather, that, in the course of attempting to fulfill these obligations, representatives of the carrier (the adjuster and the expert retained by the carrier) acted negligently in their dealings with the insureds. As such, the Plaintiff's were alleging a breach of a social duty in this regard as opposed to any breach of the contract terms. Accordingly, the court found that the Plaintiff's negligence claims against the carrier were not barred by the "gist of the action" doctrine. The Court also addressed the issue of whether the insureds were required to secure a Certificate of Merit under Pa.R.C.P. 1042.1 and 1042.3 in order to be able to proceed on their negligence claim against the engineer retained by the carrier to inspect the mold conditions. After studying the wording of the Rules, the Pennsylvania Supreme Court ruled that the insureds were not required to obtain a Certificate of Merit in order to proceed with their negligence suit against the engineer, since they were not patients or clients of the engineering company which employed that expert. Stated otherwise, as the Plaintiffs were not the party who retained the expert, they were not required by the applicable Rules to secure a Certificate of Merit relative to their pursuit of a negligence claim against the engineer. Overall, the Supreme Court reversed the Superior Court and remanded for further proceedings. 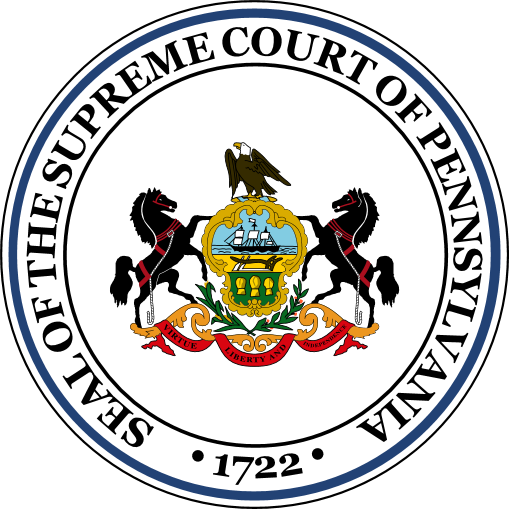 Anyone wishing to review the Pennsylvania Supreme Court's majority Opinion decision in the Bruno v. Erie Insurance case may click this LINK. The Concurring Opinion by Justice Eakin, joined in by Chief Justice Castille, can be viewed HERE. Justice Eakin and Chief Justice Castille agreed with the majority Opinion but cautioned that the "broad pronouncement" in the majority Opinion suggesting that finding negligent actions by a contracting party do not arise out of the contract does not fully comport with the gist of the action Doctrine and may represent a painting of the issue with too broad a brush. 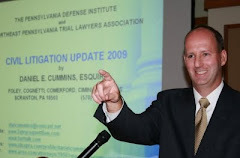 I send thanks to Attorney Andrew L. Braunfeld of the Conshohocken law firm of Masterson Braunfeld LLP for bringing this case to my attention.